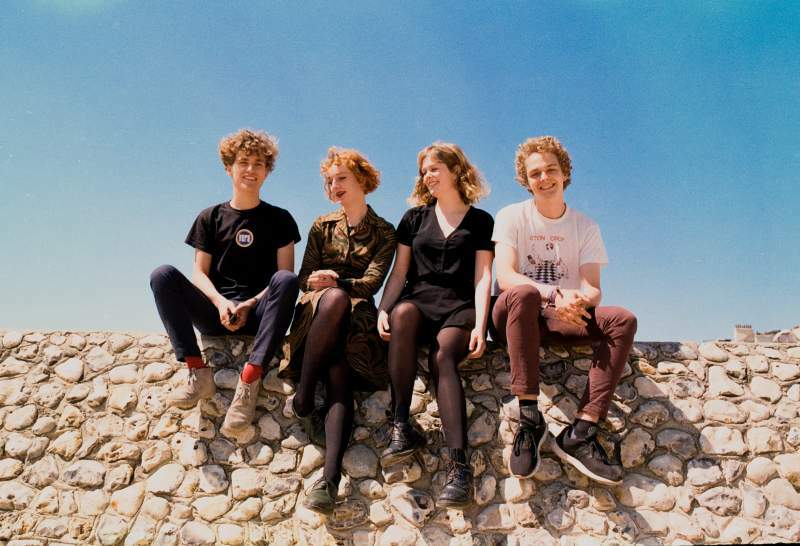 Given their well-stocked arsenal of infectiously spunky belters, it’s really not hard to see why indie darlings Pip Blom have maintained a steadily ascendant trajectory since bursting onto the Interwebs two years ago. In that time, the Amsterdam-based quartet – eponymously named after their effortlessly cool singer/guitarist/frontwoman – have not only supported both Franz Ferdinand and The Breeders on tour, but also amassed a legion of fans with their puckish verve and hook-driven melodies. Steeped in winsome songcraft and gritty charm, the band’s oft-raucous sound is a spellbindingly anarchic symphony of jangly guitars, skittering percussion and grainy lo-fi textures that’s drawn comparisons to the moody sonics of Garbage – it’s also earned them rave reviews from industry tastemakers like BBC6 Music’s Marc Riley, who hailed their deliciously scuzzy single I Think I’m In Love as “perfect pop”. Most recently, they’ve put out a well-received EP entitled Paycheck, and are about to kick off their first-ever UK/Ireland headline tour, which – considering their proclivity for zesty live sets – promises to be, as the kids say, LIT! So, come Friday 16th November, why not head on down to Think Tank? Underground, and see for yourself what all the fuss is about?